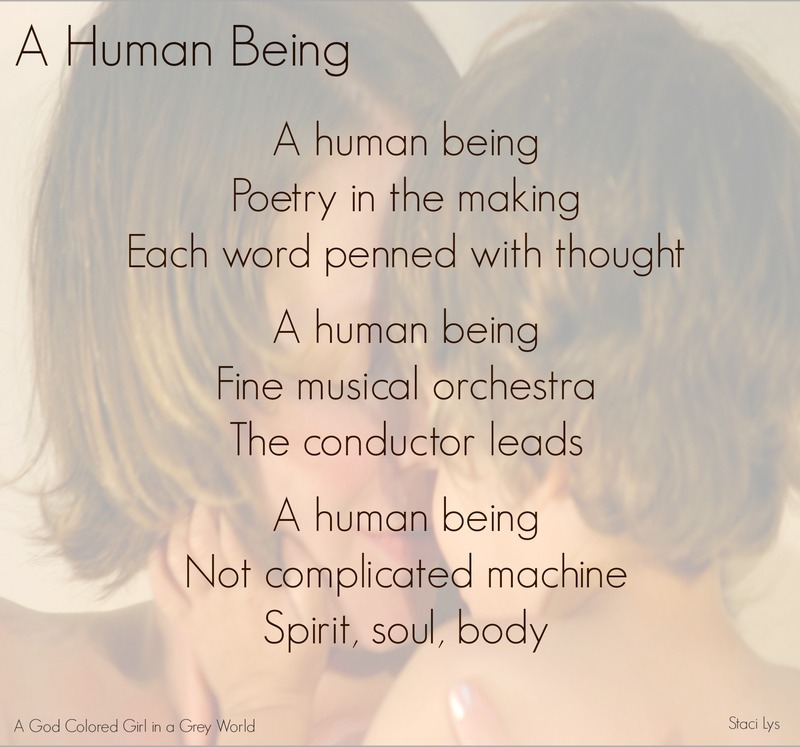 Im lucky to be a human being, but living in this chaotic world, I sometimes feel we are all the same…. Hahaha. Yea, this world is quite chaotic, isn’t it. So nice to see you here sweetie. Thank you so much Neha. Glad you enjoyed it. Humor and the recognition of a higher power ie. God. Just a little thought. Have a great weekend. Hahaha. Can you imagine a herd of dogs or lions going into a church? That’ll be the day. Hope you had a great weekend Wendy. I’d like to see the Monkeys in the choir, and I would love to hear the Lions roar a big Amen! Hahaha. I think we wouldn’t be able to use the expession, ‘when pigs fly’ anymore if something like that were to happen. Hahahahaha. Sleep on the couch eh. Who’s the ‘Favorite person’? Beautiful poem. I think the most unique thing about human beings is that God created us because He actually wanted to be in an intimate relationship with us. Even knowing we were going to sin and turn our backs on Him. We were created to be in communication and communion with God because He chose us to be different from the rest of His creation. Unique…that’s what we are! Hey is that a pic of you and your son?!? Great response K. I agree w ya. Thank you for the great comment. So true. We are very different than the rest of the animal kingdom, aren’t we. Staci, lovely poem, thoughts and information included. It’s remarkable that we are so unique, different and self-aware, especially because they say we use such a small percentage of the brain we were gifted with. Wonderful post, quite thought provoking! Please enjoy your week, and take good care! Thank you so much Pepperanne. I’m glad you like this. You also have an amazing week. Lovely thought and poem Stacilys. Human should be a unique species and I wish humans could be the ones who take care of this planet to be a better place..but very often the greed make us forget about our nature and animals..
Oh yes, I couldn’t have said it better Indah. We really are so selfish, aren’t we. The Bible says that all of creation is waiting and groaning. Hmmmm, poor animals. Awwww, thanks so much Melanie. I’m so glad you like it. The photo is of my son and me, just a couple weeks or so before I gave birth to my girl. The ability to feel remorse……! and hopefully the hunger for peace that will lead us to the grace to change. Enjoy all aspects of your posts…..the light hearted and the challenging. Glad I found you. Oh yes, ‘the ability to feel remorse’. That’s a great point. Thank you so much Eileen. I’m so glad you are enjoying my little blog. I will be heading on over to yours soon (right now I’m so tired. I’ve been lazing all day. Saturdays are like that for me). I will visit tomorrow.